Posted: Wednesday, October 12, 2016. 7:40 pm CST. By BBN Staff: In a Belize Press Office release issued a short while ago, the Office of the Prime Minister announced that the Belize National Teachers Union (BNTU) has accepted the Prime Minister’s invitation to meet. The meeting will be held at 2:00 p.m. on Thursday, October 13th at the Biltmore Plaza Hotel in Belize City. BNTU’s decision to meet is in response to a letter sent by PM Barrow to BNTU earlier this week inviting the BNTU to the negotiation table to “further discuss the issues raised”. 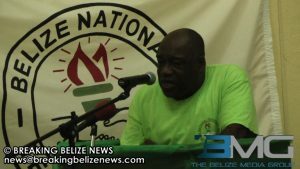 In that same letter, however, PM Barrow reminded the BNTU President, Luke Palacio, that “Whatever understanding Government and the BNTU might reach…has to be canvassed at a later meeting with the National Trade Union Congress of Belize (NTUCB)”.